Curios and Dreams | Makeup and Beauty Product Reviews : Kitchen Beauty : Get Rid Of That Tan! Kitchen Beauty : Get Rid Of That Tan! This post comes on a readers request who also is a good friend of mine. I had to put it up. You see in our 5 years of college most of us got horribly tanned walking around in the sun everyday. And no one likes that (okay atleast we Indians don't need that much of an extra tan). 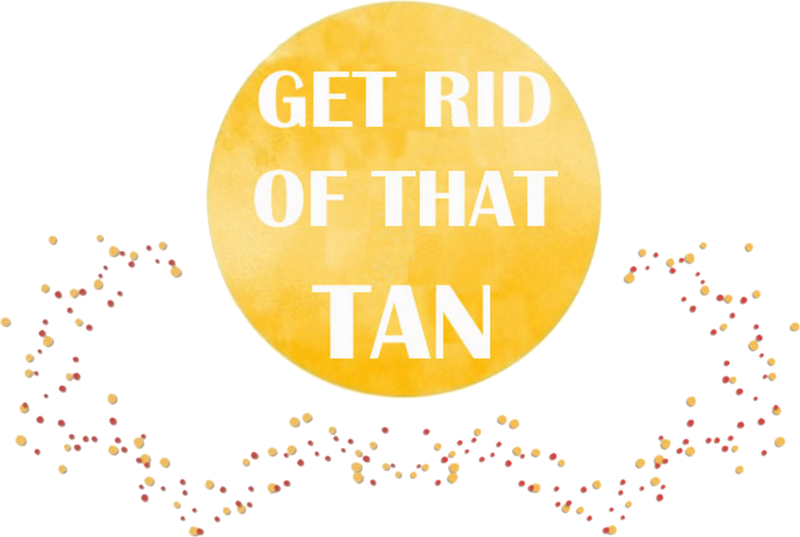 So here are some of my tried and tested tips to get rid of that horrible tan! (they helped me a lot back when I made my arms and legs bad from all the swimming and they are helping me now as well). Here is a list of some kitchen ingredients that work wonderfully well for tan removal! Curd+ Turmeric powder (haldi) + Gramflowr (besan). Mix them and apply for atleast 20 mintues before your bath (or until it gets dry). Moisten it and scrub it off with cold water. Use this atleast twice a week. You can substitute curd with milk/milk cream of you have dry skin. 2. Honey+ Lemon Juice pack. 2 tbsp of honey and a few drops of lemon juice. Apply this to the affected area daily for 15 mins. Wash off with cold water. 3. Buttermilk + Oats pack. Buttermilk will soothe your skin and make it soft and oats help in exfoliation. 4. Use Cucumber Juice, Lemon Juice and Tomato Juice alone (they work great by themselves). 6. Soak cotton balls/pads in fresh coconut water and dab it all over yor face and neck or the affected area. Give your skin enough time to soak it up and wash off with cold water. You can do this everyday. 7. Rub mashed papaya all over the affected area. Papaya is loaded with essential antioxidants and vitamins A and C. The enzymes it has help to lighten the skin. Or you can use Mashed papaya + Honey and some turmeric as a pack. 8. For the dry skinned women, Mashed banana + Lemon juice + Honey works well too. (oily skins stay away from banana!). 9. Rub aloe vera gel (get if fresh form the leaves if you can because that is best) to the affected area. It works really well to soothe sun burns. Also, use a sunscreen. ALWAYS! I cannot stress more on this other than saying "use it always". Not just on the bright sunny summer days. You have to use it on cloudy days, rains and winters too! And keep reapplying it every few hours. UVA rays cause long lasting skin damage (wrinkes and aging) and UVB rays is responsibe for sun burns (and worse.. skin cancer). And they are always out there ready to attack you! I never used a sunscreen before and my skin has taken a toll in the long run but I am getting really regular now. If you are interested you can check which one I use here. Lastly, these are just some of the remedies that have worked for me. There are plenty more out there, but I have not tried them. (Do not use any of the the above packs of you are allergic to the mentioned ingredient). My first haul away from home! Kitchen Beauty: Make Your Lips Plumper! !